Are you struggling with mental health difficulties or does it feel like everything is getting on top of you. You may be have fleeting suicidal thoughts or struggle to cope with everyday life. Could you benefit from seeing a counsellor or psychotherapist in Whitstable who will be able to help you to make sense of what is going on for you. Are you looking for a counsellor or psychotherapist in the Whitstable, Herne Bay or Canterbury area who has many years experience in mental health and will be able to respond quickly to your request and see you in a comfortable and professional environment? Our therapists are able to offer a full range of psychological interventions including Individual Psychotherapy,Relationship Counselling, Family Therapy,EMDR and Art Therapy. We are committed to providing a high quality counselling and psychotherapy in a safe, confidential and non-judgemental environment. People seek counselling or psychotherapy for a number of reasons. The treatment offered will depend upon the issue that you are struggling with and whether you or an adult or an adolescent seeking counselling. Short term counselling will focus on the problem in the here and now and seek to find a solution through making sense of the core conflict. Long term individual psychotherapy provides an effective treatment for a range of psychological disorders, both as a treatment in its own right and as an adjunct to other forms of treatment. It can contribute significantly to the individual's mental and physical health, to their sense of well-being and to their ability to manage their lives more effectively. Relationship Counselling will focus on the problem within the couple relationship and help to understand and resolve the couple difficulties. Relationship counselling can treat a range of problems including intimacy difficulties, stress in the relationship, infidelity or loss of a partner. Our highly experienced couples psychotherapists work from a position of the problem being the problem not people being the problem. Our psychotherapists work with both individual and relationship therapy on an open-ended basis or for an agreed time period, with the aim of enabling you to enhance your life and to live it more fully. So, if you are looking for a counsellor in Whitstable in a location that is easy to get to from Herne Bay or Canterbury area or perhaps you are able to travel from around East Kent we will be able to see you very quickly, usually within 48 hours. The assessment session will give you an opportunity talk about what you need from therapy and to see if you could work with the psychotherapist. As psychotherapists we will be able to offer a full psychological assessment and talk through with you how we might be able to help. Whitstable Bay Therapy Service is on the outskirts of Whitstable within easy reach of those in Whitstable, 10 minutes drive from Canterbury, 5 minutes away from Herne Bay and close to Thanet. 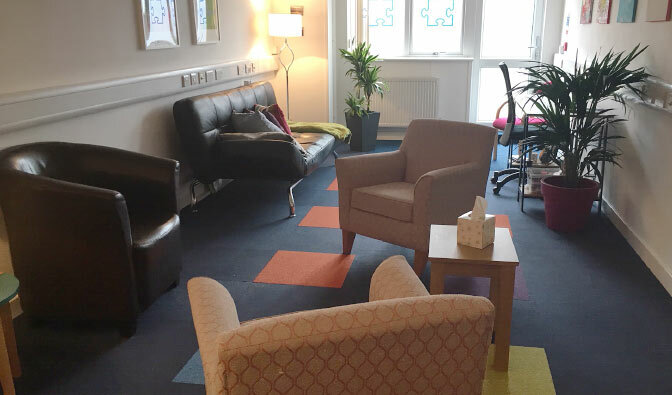 Counselling and psychotherapy appointments are offered from Monday to Friday, including evenings and during the day on Saturday. Disabled access is available at the practice. We our very proud of our comfortable and high quality centre, so please come and see for yourself. Parking is available immediately outside of the practice. A 2 hour Intensive Recovery Session to help couples who are in crisis and need help to work through the immediate distress. Fees vary according to the type of therapy you wish to access. Subsidised fees are available from £40 in some circumstances. It is usual for the full fee to be charged for missed sessions. To find out more or to arrange an initial appointment with one of our therapists, please call or text us on 07596177669, or get in touch by email using our secure online contact form.